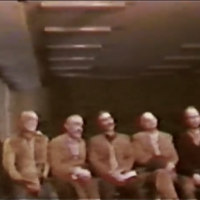 This film is shortened video of a trial held in 1981 in the Islamic Revolutionary Court at Evin Prison in Iran. 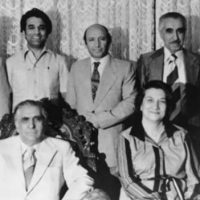 It is the main segment of the trial, held in 1981, of seven members of the nine-member elected national council of the Bahá’í community of Iran known as the National Spiritual Assembly of the Bahá’ís of Iran. In the court verdict, the duration of the trial is stated to be two hours and thirty minutes, but the current video obtained of the trial shows only about two hours of the court proceeding. 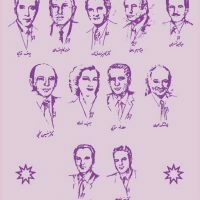 Based on statements made by the court judge, it appears that the initial recording of the video was made with the intention to show it on public TV to the Iranian people. However, for whatever reasons, this film was never broadcast. The quality of the video is very low because it had been kept hidden for a long period of time.